Columbia Place is a 719,000 square foot mixed-use development located in Washington, D.C. adjacent to the Washington Convention Center. Columbia Place was developed by Capstone Development and Quadrangle Development Corporation. The project is comprised of a 504-key dual-branded Courtyard by Marriott and Residence Inn by Marriott, 214 luxury apartments known as The Lurgan, and retail on a tight 1.6-acre urban site. The project successfully incorporates and reactivates eight historic buildings with a ground level-restaurant, retail, meeting spaces, and hospitality suites. 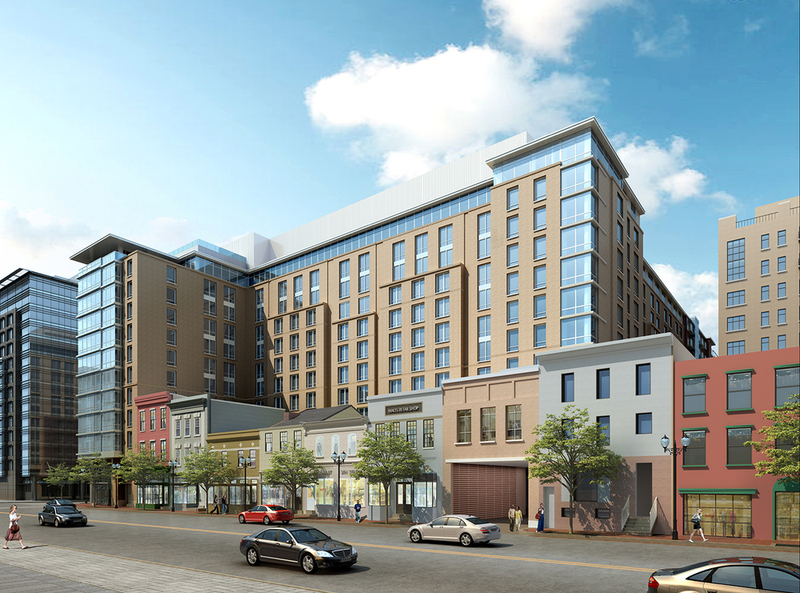 The project underwent a lengthy and complex entitlement process including a Planned Unit Development process, Historic Preservation Review Board review, and a Mayors' Agent review, including relocating a pre-civil war building onsite, and an alley closing.